The number of homeless students in the U.S. totaled 1.2 million in the 2014-15 school year, the most recent data made available by the U.S. Department of Education. 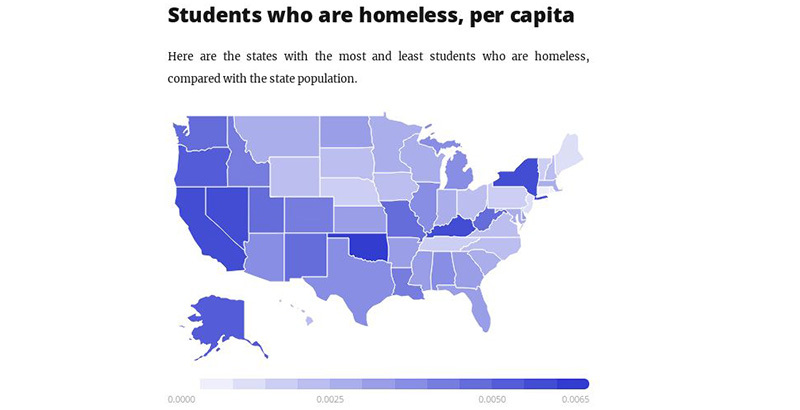 While California has the largest number of homeless students, at nearly 236,000, Oklahoma has the highest rate in accordance with its population, with nearly 7 homeless students per 1,000 residents. Recent changes in federal law ensure that many of these students will be guaranteed additional supports once placed with foster families. As we reported last month, the Every Student Succeeds Act requires state departments of education to collaborate with child welfare agencies so education leaders can begin tracking which students are in the foster care system and how they’re doing academically. ESSA also mandates that states arrange transportation for foster care students to their original school if they move between homes, to minimize disruption to their education. This winter, for the first time, states will also be expected to include data on the educational outcomes of foster care students on their state report cards, as they already do for student subgroups like English learners and migrants. 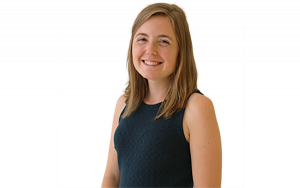 “This is a big step forward in terms of giving students in foster care the attention they need,” Kristin Kelly, senior attorney and assistant director of education projects at the American Bar Association, told The 74. Read our previous coverage: “The State of America’s Foster Care Students”.